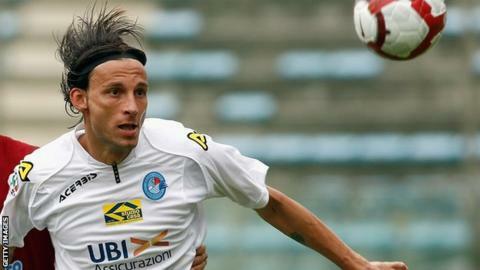 League Two side Crawley Town have appointed Italian Gabriele Cioffi as their new head coach. The 42-year-old replaces Harry Kewell, who joined Notts County at the end of August following 15 months in charge of the West Sussex club. Cioffi spent most of his playing career in Italy's Serie B and had a spell as a coach at Birmingham in 2016-17. He will be in the stands for Saturday's match at Lincoln, but the team will be taken by Filipe Morais and Jimmy Smith. "We wanted a head coach with passion, dedication and someone who is prepared to work hard to improve our existing squad," Crawley director of football Selim Gaygusuz told the club website. "In our extensive discussions with Gabriele we were impressed with his ideas and enthusiasm for the job and his short and long-term vision." Crawley are 16th in League Two after six games of the new campaign.